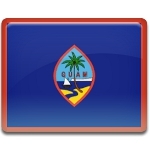 Guam annually celebrates Liberation Day on July 21. The date of the holiday is connected with the start of the Second Battle of Guam in July 1944. Since 1668 Guam was under Spanish control. But in 1898 the island was bloodlessly captured by Americans during the Spanish-American War. The island was in possession of the USA till December 10, 1941, when it was captured by Japan after the attack on Pearl Harbor. Guam was not heavily fortified at that time, that is why Japanese could capture the island easily. At the same time the island is ringed by reefs, cliffs and heavy surfs, that make a challenge for attackers. Despite all obstacles, Americans landed on the island on July 21. The battle lasted till August 11, resulting in restoration of American administration in Guam. Present-day Guam is an organized, unincorporated territory of the USA. It has right to elect non-voting delegates to the United States House of Representatives and has no vote in the Electoral College. However, July 21 is annual celebration of Liberation Day.